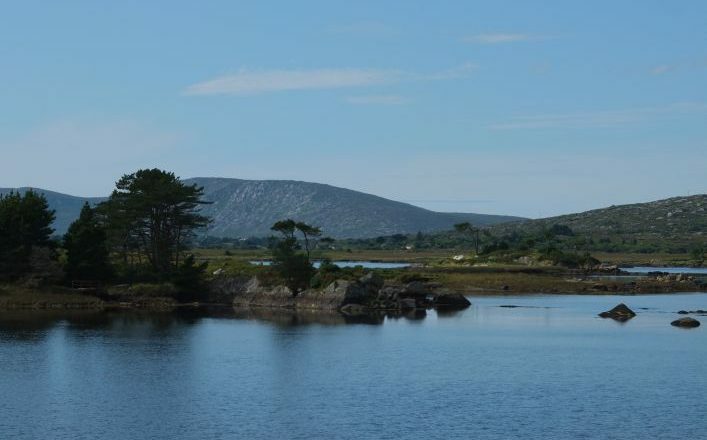 chance to combine these pleasures, on our self-guided, Connemara Ramble tour. Discover peace amid the mountains of the Western Way trail, then cross the sea to explore one of the most beautiful islands of the Connemara coast. 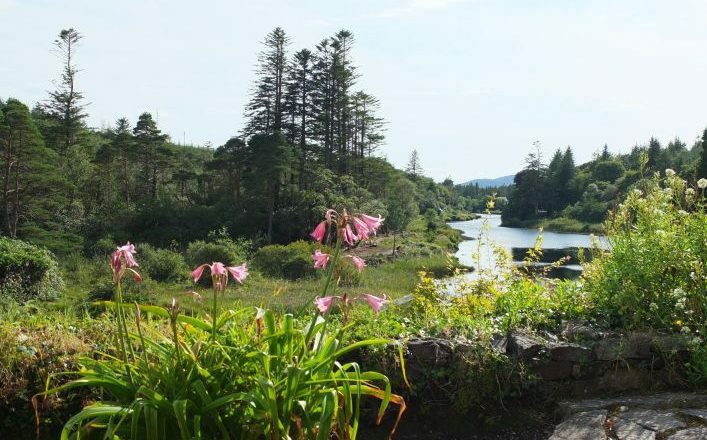 The unspoiled Connemara landscape is one of the great wildernesses of Europe but with magnificent views, interesting villages and ancient historical sites, whilst your hosts each day will offer you a warm welcome. You can choose to stay in either hotels or B&Bs, with en-suite rooms and excellent breakfasts along the route. Hotel 7/6/5 night option £730/£680/£625 per person sharing. 5/6/7 nights in Hotel or Bed & Breakfast in guesthouse accommodation depending on option; luggage transfers each day; detailed route descriptions and 1:50000 maps. Arrive in Connemara, and the lovely village of Leenane! Settle in to your accommodation, meet our local representative who will explain your route notes, provide you with maps, and answer any questions you have about your tour. Follow a famine relief road built in 1846 along the southern shore of Killary harbour. This was built during the 19th century famine and you will clearly see the ruins of famine villages and’ lazy beds’, the name given to the potato ridges where the farmers tried to provide food for their families. Today mussels are raised in the fjord; and you might catch site of frolicking seals and dolphins. Second night in Leenane. Today you have the option of exploring Kylemore Abbey. 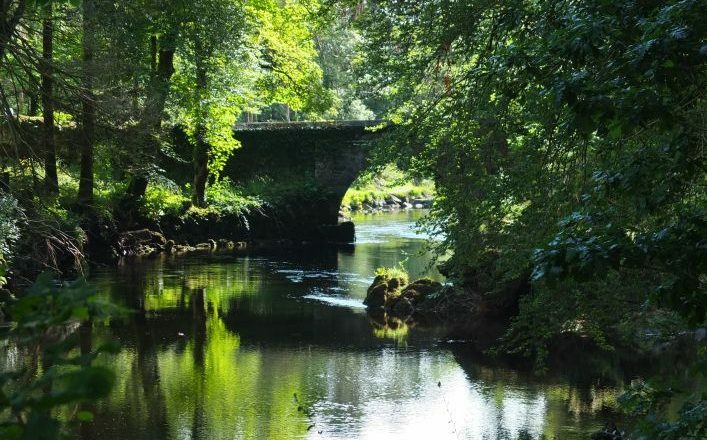 Today the estate is open to visitors, who may visit the Abbey, Gothic church, Victorian Walled Gardens, as well as enjoying lake and woodland walks. 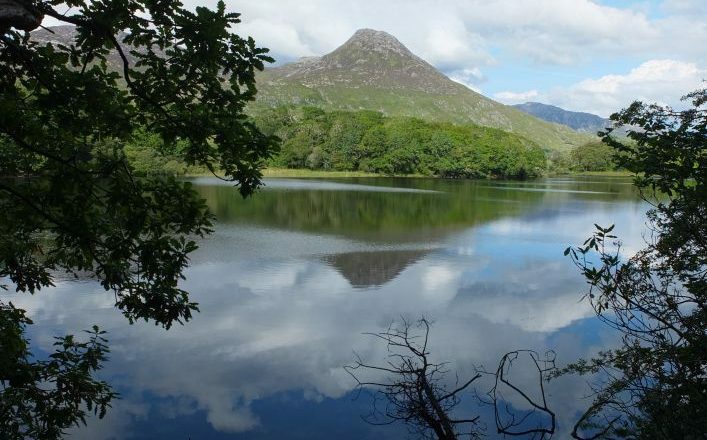 Letterfrack and the Connemara National Park are a short distance away – you can take the path up to climb Diamond Hill with its dramatic view across Connemara. This evening a transfer to the fishing village of Cleggan where you can either stay overnight or take the ferry to Inishboffin, depending on your accommodation choice. Today explore the enchanting island of Inishbofin, with its sandy swimming beaches, its country tracks and wildlife, including the rare corncrake. Inishbofin has a strong musical tradition and musical ‘sessions’ take place most nights during the summer.The island has several fascinating loop walks, each with interesting histories and spectacular blow holes and sea stacks en route. You may stay a second night on the island or return to Cleggan, according to your accommodation choice. Today’s walk takes you along quiet back roads to the tiny village of Claddaghduff and the island of Omey, situated on the far western edge of Connemara and only accessible by causeway at low tide. It was a place of devotion to Saint Feichín, one of the most important of the early founders of Irish Christianity. Here there is a Holy Well and the ancient church, for long buried in the sands but preserved thanks to the efforts of the parish priest. From here you transfer to Clifden, the ‘capital of Connemara’, for a relaxing evening in this colourful little town.